A British spy. Sentenced to death several times. Why did she make a list with the prisoners to be liberated with the White Buses? Born in 1895 in Surrey, UK. Mary Lindell was a British spy who helped people out of the occupied France. She was arrested several times and was sentenced to death, but somehow managed to survive the war. Via her war experience and eccentric manner, Mary Lindell became a leading figure among the prisoners in Ravensbrück. 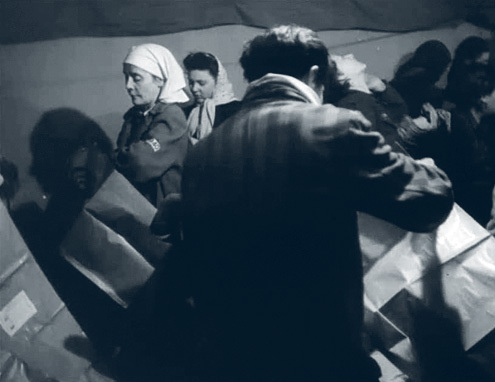 One of her responsibilities was to make a list of the prisoners to be liberated by the Swedish Red Cross White Buses. 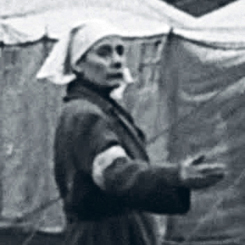 She came to Malmö on April 28, 1945 and stayed in quarantine at the Malmöhus museum. Later she returned to Paris where she lived until her death. Mary Lindell’s life has been featured in the film One Against the Wind, based on the biography Story of Mary Lindell: Wartime Secret Agent by Barry Wynne. She was also featured in the British television series called Women of Courage. If you can help us with further information about Mary Lindell we will be very happy to hear from you. Please write an email to our researcher Sebastian. 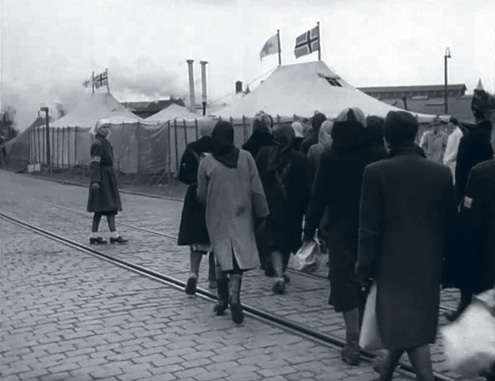 Mary Lindell in Malmö harbour on April 28, 1945 (white headscarf). Mary Lindell keeping track of her group in Malmö harbour. 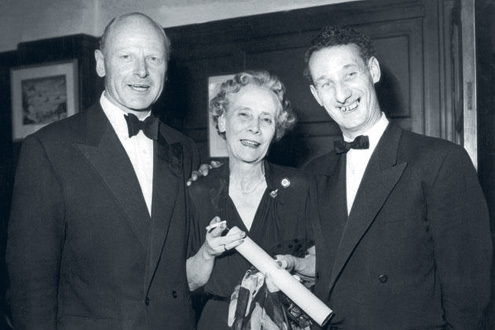 Mary Lindell recieving an award in 1961 for helping two British agents escape out of France during WWII.